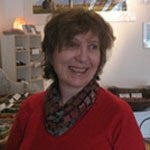 Gill is a qualified practitioner of the Alexander Technique and is a member of the Society for Teachers of the Alexander Technique. The Alexander Technique helps people with physical, mental and emotional conditions resulting from ingrained habits. It is taught at music and drama colleges such as the Royal College of Music, RADA, LAMDA, Guildhall School of Music and Drama and The Juilliard School (NY). The technique is used to prevent injury, address muscle tension and stiffness, help with poor posture, breathing and vocal problems, and anxiety and stress-related conditions. It can be beneficial in pregnancy and childbirth.